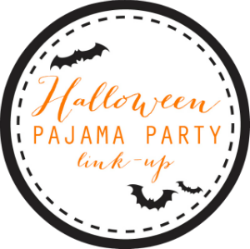 I’ve been so excited about a virtual Halloween PJ Party that Darci and Meredith are hosting today. 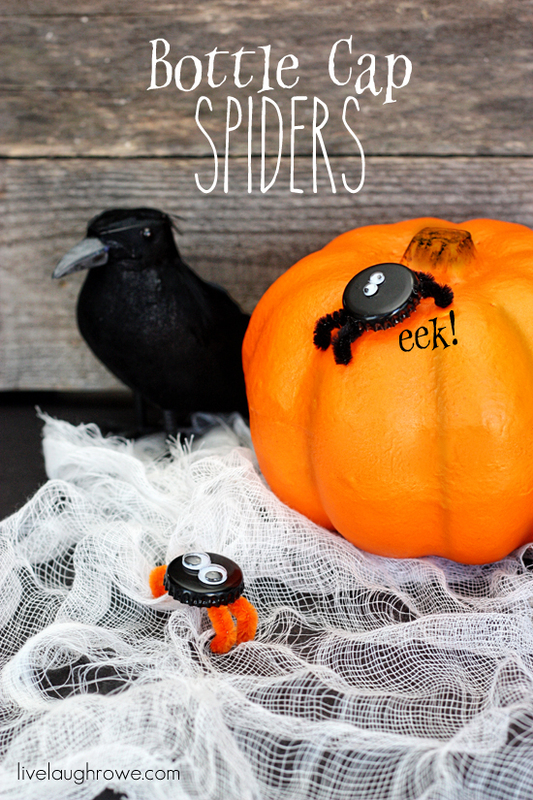 Who doesn’t get excited about dressing up their kiddos in Halloween PJ’s? 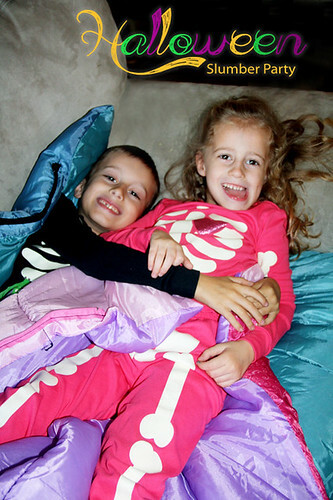 I always (ALWAYS) get Nathan and Autumn the skeleton gymmies for Halloween from Gymboree. This year, I bought them 3 sizes big so that they would last two Halloweens… or so I hope. The gymmies run a size small, so you always want to order at least one size up. I really thought the PJ’s would SWIM on my kiddos, but they fit perfect with some room to grow! Yay! And, what kiddo doesn’t love pajamas that glow in the dark? So, what did we do for our Halloween Slumber party? The kids got their sleeping bags out and I took lots of photos. Movie night is always more fun with sleeping bags! 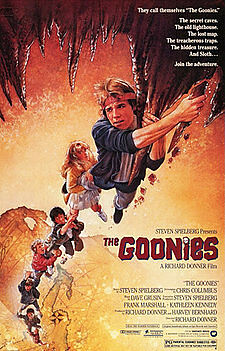 While we ate, we watched The Goonies, which the kids LOVED. We were going to rent Ghostbusters, but my son really wanted to watch The Goonies. So, he won! ha! 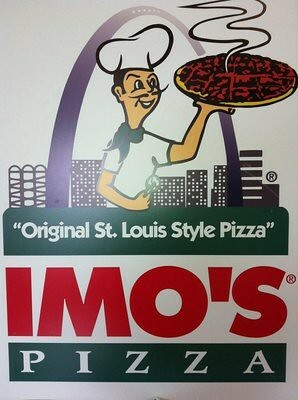 It was a perfect Sunday night, I must say. And, it was extra fun to snuggle with my two little skeletons.Happy Fall and (almost) Halloween!